The rumor that software has eaten the world has been overstated. Forget what the Wall Street Journal says, there’s still a world out there – and it’s often messy, chaotic, and ripe for exploration. That’s exactly what QGIS does – it doesn’t dismiss the chaos, or pretend the world is as smooth and frictionless as the latest trend in UI design, it instead helps us understand, investigate and explore it. It’s a tool that helps us to ask new questions and pose new problems. And what, really should software do besides that? 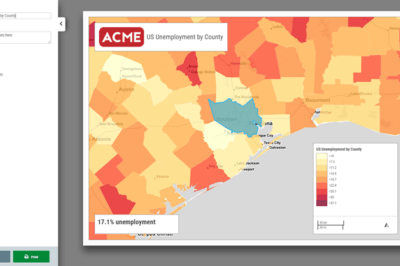 How can I use QGIS more effectively? What can QGIS help me to better understand? True, perhaps these questions are a little obvious – but they underline two different lines of thinking that anyone working with QGIS will have to consider. It shows that when it comes to QGIS you’ve got to think creatively and technically. If you’re really talented you’ll be able to see how both fit together. To get the most out of QGIS it’s not enough to simply know how to write the lines of code you need, and how to integrate with other exciting tools – you’ve got to be able to be interesting. Equally, if you’re a smart geographer, cartographer, archaeologist or geologist (the list could, of course, go on) you might be able to impress with your ideas, but the more control you have over a tool like QGIS, the more you’ll be able to visualize and explore your ideas. In a world where academic competition has never been fiercer, and where competing for the attention span of even the most curious readers has never been more difficult, a tool like QGIS can give you both the intellectual and stylistic edge. The two latest QGIS titles from Packt have been developed precisely with that in mind. 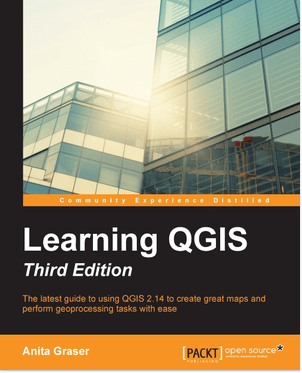 In the third edition of Learning QGIS, by Anita Graser, a data visualization expert working for the Austrian Institute of Technology, readers will find an accessible, practical route into the tool, demonstrating exactly how someone new to the tool can begin using QGIS to answer a range of questions. From the fundamentals to extra tips for extending QGIS using Python, Anita puts the reader in control. Once you’ve got to grips with the basics, you’ll be ready to start thinking creatively and critically. But what about those moments where you need a quick solution? You might already be confident with the tool, but even the most confident user will face challenges when working with QGIS – and you shouldn’t let those challenges stop you or dent your confidence. That’s where QGIS 2 Cookbook comes in. 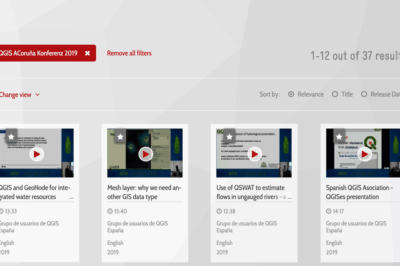 Written by Anita alongside other QGIS experts including Alex Mandel, Victor Olayo Ferrero and Alexander Bruy it provides a huge range of solutions for anyone using QGIS in 2016. 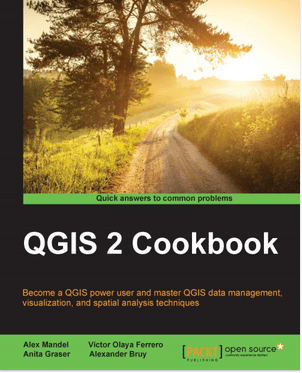 You’ll find troubleshooting tips and tricks, but the cookbook also features recipes to help you get your QGIS projects on the web, and extending and customizing QGIS with its vast array of plugins. Keeping up with the software landscape and getting beneath tech trends is as important as understanding real landscapes and real demographic trends. 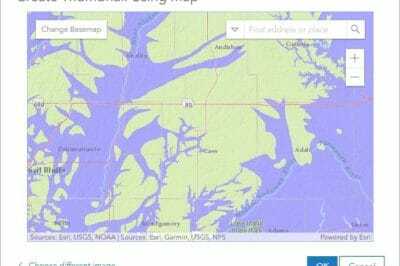 Don’t leave it to chance – make sure you’re one step ahead with the resources you need to remain a tech savvy cartographer.